Hello! 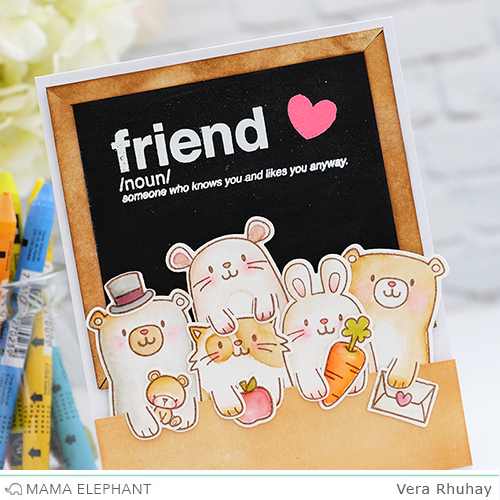 Vera here and I have a designer series project to share with you featuring PAGE HUGGERS stamp set along with the coordinating dies. 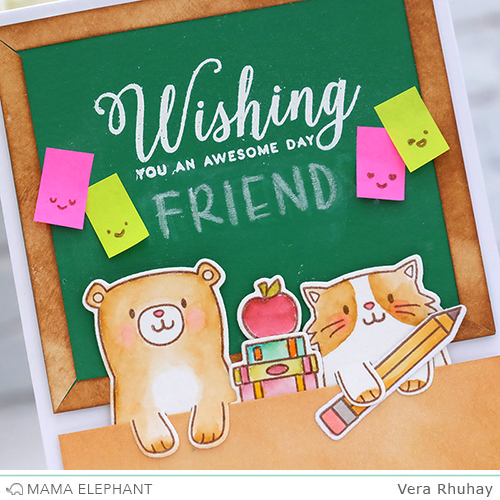 I create a set of card with DIY chalkboard. 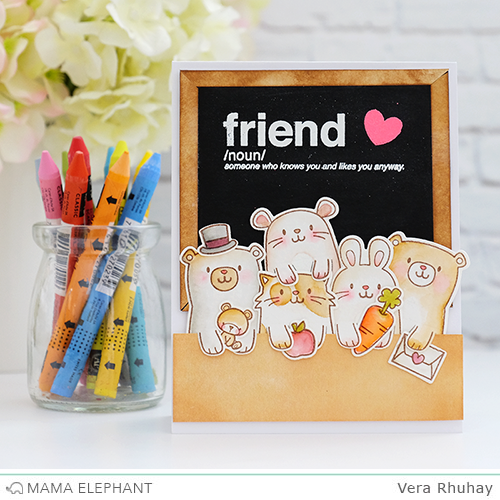 I stamped the images on watercolor paper, colored with Zig Clean Color Real Brush pen and then cut it out with the coordinating dies. White heat embossed the sentiment from TANDEM EXTRAS set and added real tiny post-it notes on the chalkboard. I decided to create another card combining with a boy from PRETEND PLAY set. So cute, right?! Next, I make a blackboard using black gesso as blackboard paint and white heat embossed the sentiment "friend" from WORDS DEFINED set. Thanks so much for joining with me today! 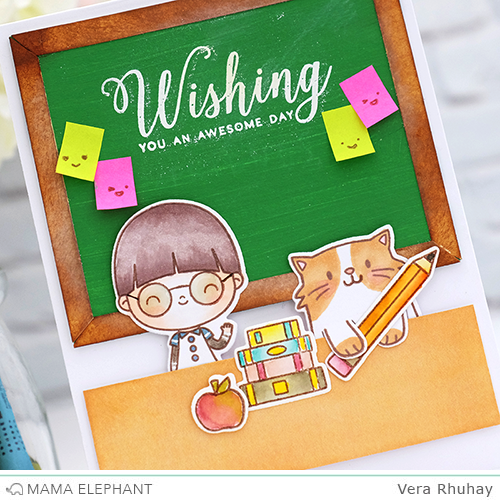 Your cards are sooo cute and creative. Love the tiny smiling post its on your chalkboards. Awesome! I'd never thought of using a textured paint to get the chalkboard look. These are completely adorable, and very clever!!! Great design and use of little post it notes! Love these stamps so very much! I really really cant wait to get them for myself! I love what you've done with the Vera and the chalk boards(!!!) LOVE! The cute factor here is off the chart , I can't even express how wide my smile is right now 😆 💗!